We’re closing out the 2009 show calendar with an action-packed bill at our favorite smoky dive, The Melody Inn. The show is Friday December 18th at 9ish, and I believe we play first. 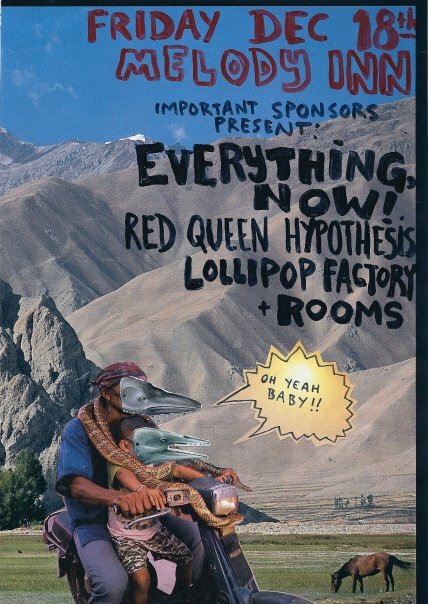 Also performing are the incredible Everything, Now!, Red Queen Hypothesis, and Lollipop Factory from Columbus, Ohio. It will be a fun night of catchy tunes and tasty beverages. You are currently browsing the Rooms News blog archives for December, 2009.